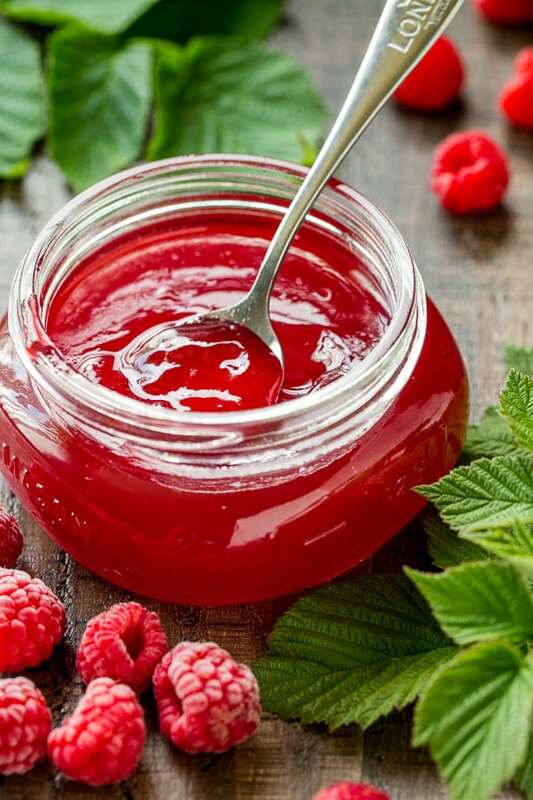 It’s truly easy to make delicious raspberry jelly in less than 30 minutes. And no pectin required! Oh my gosh, I’ve been spoiled with a huge harvest of raspberries this summer! We may have experienced of the driest years, but my husband made sure to water our raspberry patch all summer long. And hard work definitely paid off! If you follow me on Instagram, you may have seen me picking buckets of fresh raspberries! Oh joys of summer. To preserve those beautiful berries, of course, I had to make some jelly. 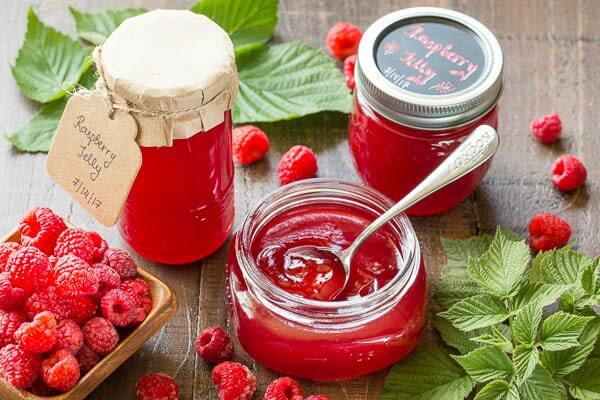 I can’t emphasize how truly easy it is to make homemade raspberry jelly from scratch. On a whim… In case someone dropped bucket full of raspberries in your hand. But I’ll say you’ll greatly appreciate having a juicer. I used my Omega VERT350 to remove seeds and squeeze out every last drop of juice. I’ve had this juicer for exactly 5 years now, and love it to pieces! And I have no idea how I would have juiced my raspberries without my trusted juicer. If you have any tips, please share in the comments below. Anyway, once you juice the berries, you’ll measure how much juice you have and add exactly the same amount of sugar. Here’s the shortest recipe for ya: fresh raspberry juice and sugar in 1:1 ratio. Combine the two ingredients and boil until it reaches 215°F. Pour into jars and cool to set. That’s it! Easy peasy, right? But you’ll find a bit more detailed recipe below. 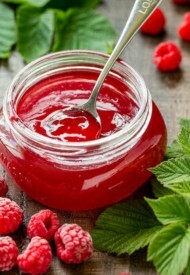 Use only freshly squeezed raspberry juice to make jelly without pectin. I’ve tried making raspberry jelly with frozen raspberry juice, but it doesn’t set and you’ll get raspberry syrup instead. It’s equally delicious to pour over pancakes, and I actually froze some raspberry juice to make syrup later this fall. But if that’s not what you’re shooting for and only have frozen raspberry juice, it’s best to reach for the box of pectin. Oh and if you’re new to canning, read this post for lots of canning tips. Hope you’ll make this beautiful jelly for your friends and family. It definitely makes a great hostess gift. And as always, thanks for reading! In a heavy-bottomed pot, combine raspberry juice and sugar. Cook it over medium high heat, stirring frequently, until sugar is melted. Increase the heat to high and bring the mixture to full rolling boil, which means the mixture continues to boil even when you stir it. Boil for 10-15 minutes, or until the mixture reaches 215°F (101°C), stirring frequently and skimming off the foam. Pour the jam into clean jars, cover and cool to room temperature. 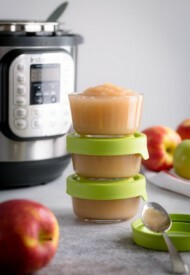 Store the cooled jams in the fridge for up to 1 month. Canning instructions: Sterilize the jars by washing them in soapy water and then dropping them in boiling water in a canning pot. (I don’t have a canning pot, so I use my deepest stock pot.) Make sure you use a canning rack on the bottom before putting the jars in, or you can also use a rag. Otherwise, jars will break if they touch hot bottom of the pot. Place the lids and rings in a boiling water and turn the heat off. Don’t boil the water with the lids, as it reduces the quality of sealing rubber. Pour the jam into sterile jars, leaving about ¼ inch left from the top. 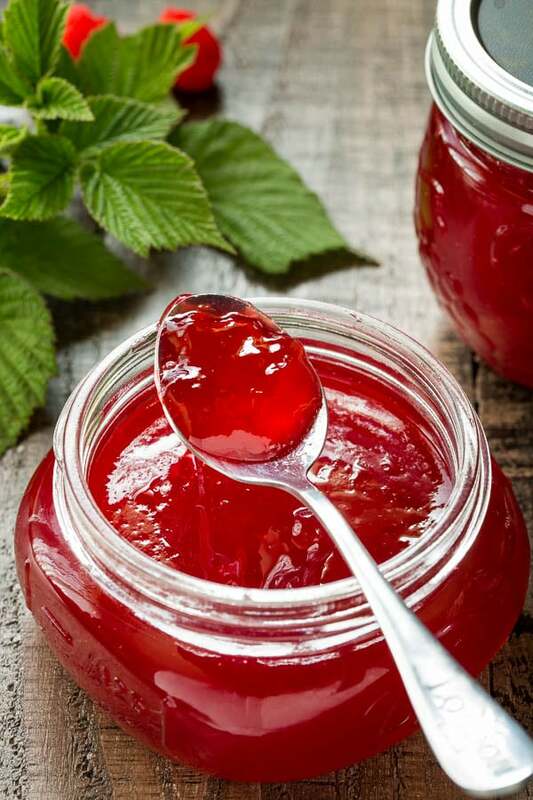 Run a knife along the inside edges of the jar to remove any air bubbles, trapped in the jam. Be careful not to touch the bottom of the jar if using metal utensils. Clean the edges of the jars with a wet towel, or paper towel. Place the lids on and tighten the ring around them, but not too tight. Place the jars into a boiling water in a canning pot with a rack on the bottom. Make sure the jars are covered with at least 4 inches of water. Boil for 10 minutes, then turn the heat off and let the jars sit for 5 minutes before transferring them to a cooling rack. As the jars cool down, you should hear popping sounds. It’s a sign that the jars are being sealed. Sealed jars can be stored in the pantry for up to 1 year. *I juiced fresh raspberries through my Omega VERT350 juicer to remove the seeds. I ran the seeds from the pulp spout 2-3 times to squeeze out as much juice as possible. 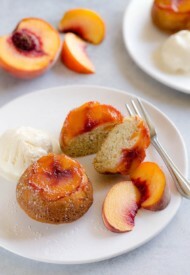 This recipe was originally published on August 11, 2013. My jelly turned out a bit runny, possible because I doubled the recipe and it didnt get hot enough. Is there a way I can fix this? 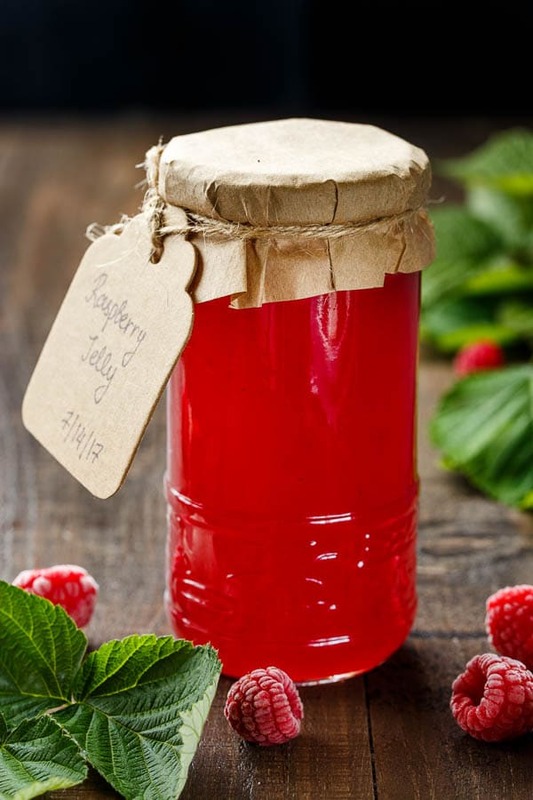 To make jelly without a juicer – all you need is a piece of muslin and some string. Heat your fruit gently with a little water till it goes mushy, starts to break down and the juices are flowing. Place a sieve over a largeish jug or bowl. Drape a large square of muslin (big enough to hold all your fruit with enough hanging over to use as handles to suspend your jelly bag..
Pour the fruit and juice into the muslin. Now you are going to suspend it above the jug/bowl to catch the juice as it runs out. Get 4 bits off string, and tie one end to each corner of your muslin, then tie them to something like the handle of a kitchen wall cupboard so the bag dangles just above the jug (you can get rid of the sieve now!). Leave it to drip for as long as you want, overnight if you like. I never have the patience to wait that long, so I tend to prod the pulp gently to get more juice out, once it’s slowed to an occasional drip. If you want a lovely clear jelly, you shouldn’t squeeze the bag too much (or at all, some people would say), but I’d rather have the juice. Then you’re all ready to make your jelly – for most fruits, use 1lb sugar for every pint of juice you have. 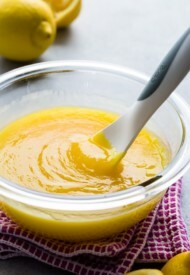 If it’s a low-pectin fruit, add some lemon juice. Hi, Chris. Thanks so much for sharing your way of juicing the raspberries!! Thank you very much…so easy to make, beautiful color and absolutely delicious. I used two cups of raspberries to experiment, which produced 1 cup juice. I have raspberries in the freezer and will make this recipe again and again, Many thanks! Hi, Arlene! So glad your jelly turned out delicious, and that you’re planning to make more. A word of caution about the frozen raspberries though. Last year, I froze some raspberry juice and when I made my jelly, it never set properly. It turned into the most delicious raspberry syrup though. So my suspicious is that the berries lose their pectin during freezing. And if you want jelly, you most probably will need commercial pectin. I was looking for a papaya jam recipe on the internet and stumbled across your website. I was surprised to see a JAM prepared using Raspberry. Worth bookmarking your site for future references. Definitely, I would try this weekend and let you know. Thanks, Frank. Glad you liked my raspberry jelly recipe. Let me know you like it. Can I be lazy and leave the seeds in and follow the rest of your recipe? Yes, definitely. Garrat doesn’t like raspberry seeds, so we opt for seedless jelly.